The Louisiana State Bar Association has historically supported the concept of “Access to Justice,” and has long recognized the importance of the efforts of organizations providing for the legal needs of the indigent. The Bar has demonstrated its commitment to help meet the needs of poor Louisianans by establishing and funding the Access to Justice (ATJ) Program. The Access to Justice Program is a joint effort of the Louisiana Bar Foundation, the Louisiana State Bar Association and the Louisiana Legal Services Programs. The Program was established in 1997 to commit full-time personnel to assist Louisiana’s legal services providers in their efforts to provide access for indigent people to the court system. With a staff of five, the ATJ Program provides direct support to all legal services providers in Louisiana involved with the Bar’s Access to Justice Committee. The ATJ Committee’s mission is to assure that every Louisiana citizen has access to competent civil legal representation by promoting and supporting a broad based and effective justice community through collaboration between the LSBA, the LBF, Louisiana Law Schools, private practitioners, local bar associations, pro bono programs and legal aid providers. 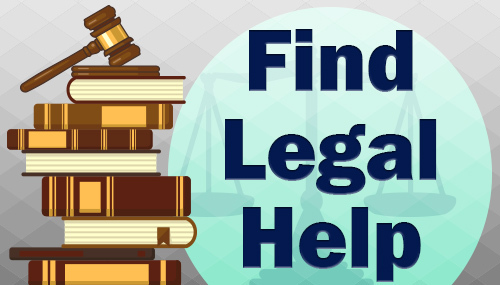 The program works to increase awareness of the indigent population’s unmet civil legal services needs, and assists by working toward solutions that can be realized through proper funding of the legal services providers and increased participation by the legal community. The Committee has more than 30 volunteer members. The majority of members are attorneys, but this Committee also includes non-attorney members. Their one common interest is assuring that legal needs of the indigent in Louisiana are addressed. Membership is geographically diverse and includes corporate counsel, judges, legal services attorneys, legal educators, large and small firm representatives, as well as pro bono directors. The Committee facilitates the work of all legal services providers by encouraging statewide collaboration and interaction through the programs the ATJ Committee sponsors and the projects it implements. Committee work is accomplished through six major subcommittees – Disaster Planning, Funding, Gap Assessment, Pro Bono, Pro Se, and Technology. These subcommittees are often aided by ad hoc committees and work groups. At the request of the ATJ chairs, LSBA leadership agreed to assess the work, effectiveness, structure and policy development of the ATJ Committee. While the ATJ Committee was found to function well and was effective on many issues, the Bar felt a slight structural change would allow for the most effective policy development and meaningful interaction with Bar Leadership. To that end, the LSBA President created a 15 member ATJ Policy Committee in 2009 to oversee the work of ATJ subcommittees, and to strengthen ties to the private bar and judiciary. The latter is an essential task for the new steering committee. Heretofore the ATJ Committee has been comprised primarily of those who provide the direct delivery of services; the ATJ Steering Committee ensures diverse representation from a cross section of those involved in these issues, including the LSBA, LBF, Court, public interest firms, pro bono, Louisiana Civil Justice Center, etc. The ATJ Steering Committee meets regularly to guide the activities of the ATJ Committee, determine ATJ Committee policy and assess impact. The work of the ATJ Steering Committee members is meant to guide the forces of the ATJ Committee while ensuring the quality of the committee’s work. In January 2011, the ATJ Steering Committee was made a standing committee of the LSBA and its name changed to the ATJ Policy Committee to better represent the mission and work of the committee.